Recently it was announced that the extraordinary Harriett Tubman will be featured on front of the $20 bill. The portrait of the 7th President of the United States, Andrew Jackson, will be removed by the year 2020. I wish it were possible to celebrate the rise of new heroines while displaying restraint in removing old heroes. Andrew Jackson is my favorite President of all time. More so than Lincoln, Washington, and Reagan. Jackson's life story captures me more than all our other Presidents. Unfortunately, Americans today only hear the rightful criticisms of Jackson's Indian Removal Act and his lack of opposition to slavery, while never hearing the monumental things this founder of the Democrat Party accomplished on behalf of our nation. Forgetting to appraise people according to their culture and times will sometimes lead us to mistakenly dismiss the worthy. Caution is in order before condemning ancestors, recognizing the general darkness of former days often tainted one's personal behaviors. Enid, Oklahoma has some very strong connections to the life story of Andrew Jackson. A 1910 graduate of Enid High School, Marquis James, wrote an award winning biography of our nation's 7th President. 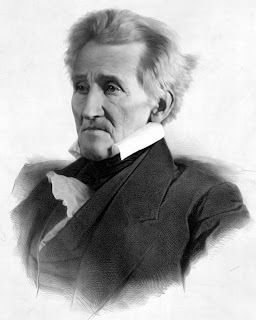 James' two volumes on the life of Andrew Jackson - Volume 1 The Border Captain (1933) and Volume 2 Portrait of a President (1937) - were combined into the 1938 Pulitzer Prize winning book The Life of Andrew Jackson. To this day, it remains the most colorful and interesting biography of President Jackson. When President Jackson pushed for the Indian Removal act in 1830, the greatest opponent to the President's ambition of moving all Indians to "Indian Territory" (Oklahoma), was the erudite Cherokee Chief, a man named John Ross. Chief Ross's great-great granddaughter is an across-the-street neighbor and member of the church I pastor. Her family's story of how the Cherokees (and other tribes) were forcibly moved to Indian Territory is not one of the brighter chapters in American history, but any Oklahoman with a mixture of Indian blood is most likely directly connected with President Jackson through the land you now call home (Oklahoma). The reason I feel a strong affinity for Andrew Jackson is the dramatic story of his conversion to faith in Jesus Christ during the later years of his life. Though raised by a mother who desired him to be a Presbyterian minister and married to a woman devout in her Christian faith, both of these women died very early in their lives, leaving Jackson to serve as President of the United States (1829-1837) without their influence. Though known to defend the Christian faith as President, Andrew Jackson had no personal experience with it until he reached the age of 75. Waxhaw, North Carolina. Both North Carolina and South Carolina claim Jackson as a native son, but Marquis James says Mrs. Jackson gave birth to Andrew while staying in her brother's home in South Carolina, not far from Waxhaw, North Carolina. Andrew's devout Christian mother taught him to read at an early age, and when The Declaration of Independence was signed in Philadelphia on July 4, 1776, it was nine-year-old Andrew who stood on a chair and read the Philadelphia newspaper's account as the "town crier" to the inhabitants of Waxhaw. The Declaration of Independence meant war with the British. An expert horseman, young Andrew Jackson eventually became a messenger boy for the Revolutionary soldiers. When Andrew was only 13 years old, he was captured by the British and imprisoned in Camden, South Carolina. While in prison, Andrew contracted small-pox. and he would have died had it not been for his mother coming to Camden to successfully negotiate her son's release. She nursed Andy back to health back, but a year later, Andy's mother would leave for Charles Town to assist in the care of other wounded Revolutionary War soldiers. While ministering to the wounded in Charleston, South Carolina, Andy's mom contracted cholera and died, leaving the future President of the United States orphaned at the age of 14. But the event that kept Andrew Jackson from "following Christ" occurred on the day he was captured by the British soldiers. It filled his heart with hate. The British officer in command "in a very imperious tone" directed Andy to clean his boots. "This order he very promptly and positively refused, alleging that he expected such treatment as a prisoner of war had a right to look for." The officer lifted his sword and aimed a violent blow. The boy threw up his left hand. It was cut to the bone, and a gash on his head left a white scar that Andrew Jackson carried through a long life that profited little to England or any Englishman." Biographer Marquis James is known as "the unqualified master of understated metaphors." The phrase "the white scar...profited little to England or any other Englishman" is an understated way of saying Andrew hated the English people and England in general. The scar on his cheek, which turned whiter as the years progressed, served as a visible reminder of this hatred. Jackson was fueled by this hatred in his amazing defeat of the British in New Orleans to end The War of 1812. He would often skip British protocol with diplomats while President because he despised courtesy to the British. Andrew Jackson's abuse as a boy at the hands of a British officer kept him in a state of perpetual resentment towards all things British. 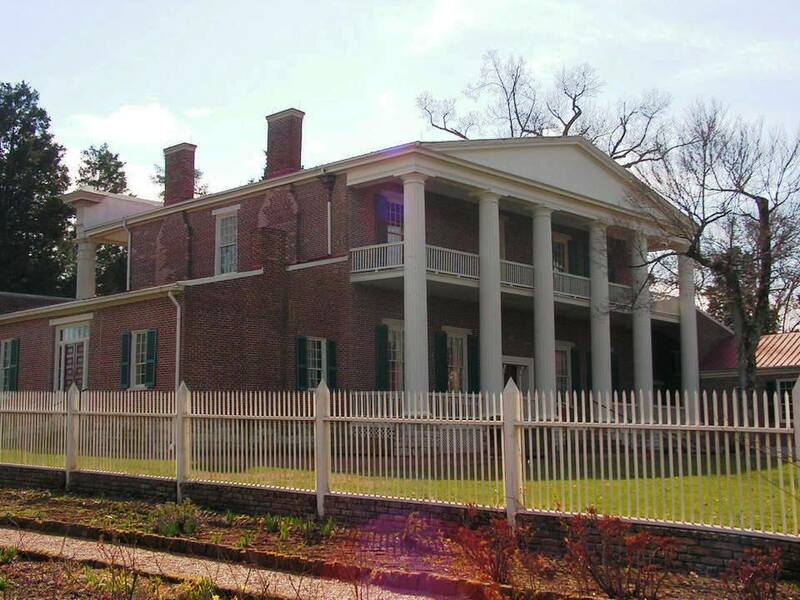 It was in 1842, while in retirement at his homestead (the Hermitage) outside of Nashville, that Jackson came to faith in Christ. A week long series of meetings was held on his property, led by Dr. Edgar, an evangelical Presbyterian minister from Nashville. 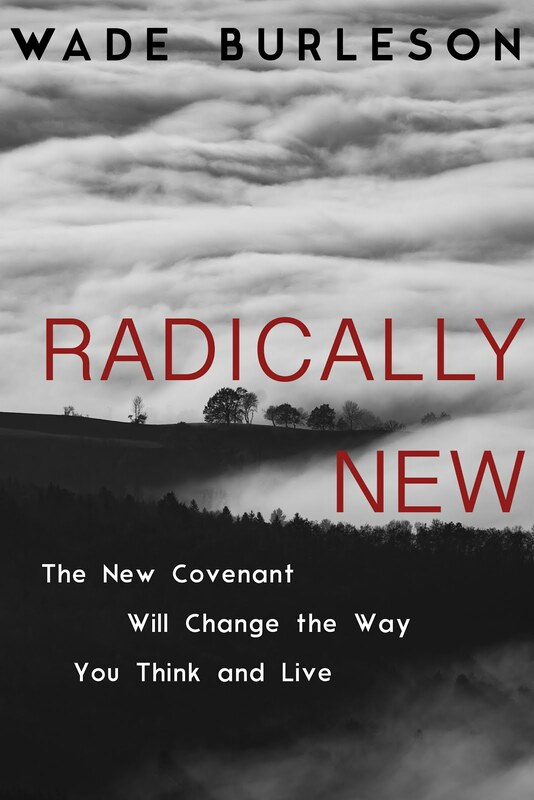 During the last of the revival meetings, on a Saturday, the guest preacher noticed the former President was paying particularly close attention to the message. Dr. Edgar, on the spur of the moment, decided to give a very personal illustration of God's providence. The preacher sketched the life and career of a Tennessee pioneer who had "escaped the perils of the wilderness, the wiles of the Indian. the dangers of war, the conflicts of politics, and the attempts of the assassin." This was Andrew Jackson's life. Then the preacher asked, "How can such a man pass through such scenes as these unharmed and not see in it an Omnipotent Hand? At the close of the service the former President asked the preacher for a personal visit. However, Dr. Edgar could not do so until Sunday morning. The former President spent the greater part of Saturday night reading the Bible and in prayer. When the preacher came to the Hermitage the next morning, Andrew Jackson announced to the preacher that he had given his life to Christ and would like to "join the church." Dr. Edgar asked Jackson a series of questions about his faith, and the conversation concluded with the following dialogue. Jackson was silent for a good while. At length he said, "My political enemies I can freely forgive, but as for those who abused me when I was serving my country in the field, and those who attacked me for serving my country doctor that is a different case. Dr. Edgar, however, insisted that the forgiveness must be entire and embrace the whole family of man. After a considerable pause the candidate got so far as to say that he thought he could forgive even the men who had made his defense of his native land a pretext for assailing him. The scene in the little church that morning was never forgotten by any who witnessed it. Besides being crowded to the very uttermost the windows were darkened by as many black faces as could get near enough. At length the former President and his daughter stood up to make the usual public profession. He leaned heavily upon his walking stick with both hands and his face was wet with tears. When finally he was pronounced a member of the church, the feelings of the congregation, which had been restrained during the ceremonial, burst forth in sobs and cries, and the clergyman himself was unable to speak. Some one started a familiar hymn, and in singing this the feelings of the excited company at last found both expression and relief. (General Jackson: Hero of New Orleans by Oliver Dyer, pp. 361-363). In Andrew Jackson's conversion I am reminded that the mark of genuine Christianity is the ability to forgive even one's enemies. Yes, it may take time. Yes, it isn't easy (it requires the power of God), but the evidence of the presence of God in one's life is the ability to give the same grace which God has given you. My view is history is always messy and that people should be judged based on their period social conditions and their times. Also people are complex too and not just one dimensional. Wonderful story. Plus if we believe the truth of Romans 8:28, we must confess that even those who worked evil against us, as well as Andrew Jackson, were, in fact, serving God. A little like Pilate making the sign that directed the thief on the cross, to the Kingship of Jesus. I'm pretty sure that wasn't Pilate's intent. Thanks for another post displaying the absolute sovereignty of our loving, omnipotent God. Thanks as always, Wade, for directing me to see things through the proper lens. I have been highly critical of President Jackson in the high school and college classes that I teach, since he is the only sitting president ever to openly defy a Supreme Court ruling, and that this resulted in the deaths of thousands of Americans. I have been supportive of removing him from the twenty dollar bill, even supporting a petition effort on the part of my students last year (which I am sure they are convinced worked). I have read scholars defending his actions, or excusing them as not intentional, or not his fault. In my masters thesis, I wrote of how Oklahoma history books have treated him as a hero in his handling of Indian removal, one such history book stating that Indian removal resulted in a "happy ending" for all those involved. I was really surprised this morning when I read that President Jackson is your favorite president of all time, knowing your affinity for history. But reading this, I understand why. I am so glad that President Jackson gave his life to Christ, and experienced the same grace that saved me from sin that was just as destructive as his. Thanks as always. If only all had the wisdom you display. Amen! Providence, grace, love - three pillars indeed. I'm honored by your comment. Guys like you know of what you speak, so I appreciate you taking the time to reflect and comment. I've tried to analyze why I admire Jackson. In the end, I think it's because he was a man of principle (whether you agree with him or not), and would always make his decision based on his principles, not whether or not his views would make him popular. We've lost that art of leadership today, in my opinion. 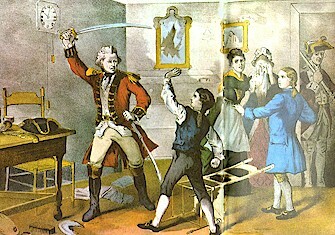 In addition, Jackson gave off a rough and tough persona ("Old Hickory"), but in actuality he was soft-hearted - defending the wife of his Secretary of War when the rumor mill and gossip groups of Washington called her a "loose woman" (the Petticoat Affair), adopting an Indian boy as his own son, and marching with his men (instead of riding a horse) and eating their food (instead of officer's fare). When the slaves at the Hermitage were freed after the Civil War (20 years after Jackson's death), the vast majority of them took Jackson's name as their own. I like soft-hearted men of principle, and Jackson is Exhibit One. Father Francis Paul Prucha, for years a professor at Marquette and a Pulitzer Prize nominee, wrote a defense of Jackson's actions, citing many of the qualities you list here. "Andrew Jackson's Indian Policy: A Reassessment." The Journal of American History (December 1969), if you're interested. Thanks, Jason. I am. Will read it as soon as possible. How do you manage to ferret out all these stories from history which apply so aptly to our lives today ? 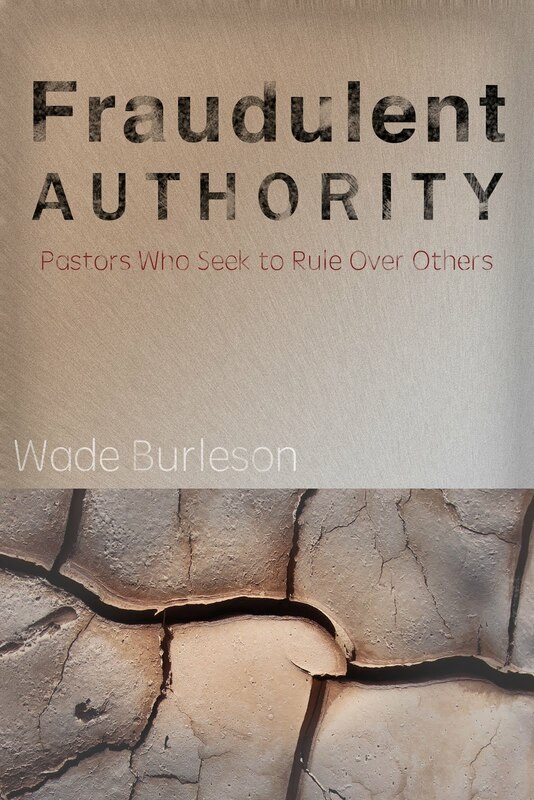 Thanks Wade, for a very interesting read which carries with it a real punch . We can learn something to emulate or to avoid from the lives of those who went before, whether Andrew Jackson, Harriett Tubman or the heartless English officer. Perhaps we could start by regulating our thoughts and lowering our voices during the present political season. Here in the UK we are preparing for an important vote along a sort of Confederate/Unionist line with regard to Europe. Feelings are running high on both sides.
" 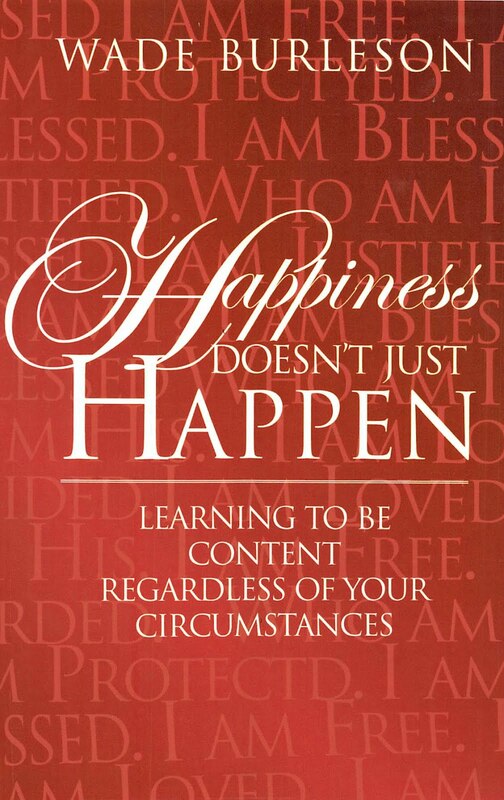 ...the evidence of the presence of God in one's life is the ability to forgive." The pattern one sees is not of an individual actions but of a systemic one. Of the empire builders. From the British to Americans. So I would not lay these faults on Andrew Jackson but of the SYSTEM that repeats these actions throughout history. Come to think of it, ALL of our thoughts, battles, fears and anger is not ours. But of some systemic creations that are pulling our strings and attempting to act as the puppet master. If one explores further even that is a mirage. Hindus in Sanskrit have accurately described these processes. My thinking in short is not of my own but some compulsions originating from elsewhere. Of course this does not sit well with Christian thinking of right and wrong, good and evil and owing ones actions. If one looks at this from a wider perspective one can see the patterns. I wanted to add that most Americans are blissfully ignorant of what their government does abroad on their behalf. As surely as Sun rises in the East every morning, another power will supplant US in its empire hegemony and then US will feel the sting of its own action just as it felt the sting of Britain as US was coming together. It does not have to be this way. One can break these cycles endlessly repeating. I read multiple pieces on Andrew Jackson in the analysis of his actions and of course they were negative. I have yet to read Father Francis Paul Prucha article but others were calling it biased. Andrew Jackson was of one of the most critical and controversial figures in American history. The dominant actor on the American scene in the half-century between Thomas Jefferson and Abraham Lincoln, Jackson lent his name first to a political movement, then to an era, and finally to democracy itself. The irony is most Americans or foreigners don't really notice whose picture graces the currency they use. Maybe the treasury could have issued $20- bills with both Jackson and Tubman and possibly rotate them with each printing. Just as different as everyone’s fingerprints are, so is the ‘filter’ in everyone’s head. That filter is based on everyone’s experience that affects their thinking. That's easy to see with Jackson. How could Jesus say, “My yoke is easy and my burden is light” without his filter being influenced by living with his Father forever? The above was from "Personal Recollections of Joan of Arc" by Mark Twain. It has become fashionable to dump on Jackson and all the Democrats, left and liberals are piling on. Conservatives are still sticking up for Jackson. I am astounded that 200 years ago the weapons used were simple and the deaths were also limited in contrast to today. If one reads Noam Chomsky and Howard Zinn, one will find the Democrats were/are instrumental and gung ho in mass killings and wars abroad just as the Republicans. To me this reads as selective outrage and selective amnesia. Since WW2, US has done 10x or more killings than what was done during the formation of US. At least Jackson acknowledged his actions but not so for the current rein of politicians and war mongers who are currently alive who have done 10x worse or more. Over time this dulls a nations citizens mind and faculties. Just as Lead did for Roman citizens, this selective amnesia is doing for US citizens. A fairly raw and sorrowful period. I came across this book about 20 years ago. Very beautiful story telling. Not related to Jackson. I think this is the fundamental problem with Democratic party and it shows. I would encourage you to read these two seemingly disparate links but they point to the general malaise infecting our political process and why Bernie Sanders is so popular with the young. It also explains the rejection of Jackson by the Democrats. It appears Andrew Jackson will appear in the BACK of the $20 note. The front with Harriett Tubman. The funny aspect of this episode from the above post of Suzanne Fields and the current political climate and the one 200 years ago are all tied as ideas going round and round in one big circle. Even my innocuous comments fit in that circle. The recent trend of taking down statues and renaming colleges of past slave owners only suppresses healing, reconciliation and maturity. Same with an individual internal conflicts of evil. When one hides it there is no peace. Same with nations of bad things they do which are always hidden from their people due to backlash. This too prevents a nation from maturity and correcting it's past rather than repeating it. The same can be said of incarceration. As in Michelle Alexander > New Jim Crow. My thinking is lot of these need to stay in the open and like free speech should not be hidden but be open with more counteracting speech. In this context it's troubling to do away past figures who are unpopular based on today's morals and standards. Since everyone has abandoned this thread, for posterity's sake I want to press on and add two links. One of the past of the empire and one of the current day. Just as Andrew Jackson was not alone in his actions but are part of an age, society and a group of ideas, just so are these links. We live the past. We repeat the past. We may have stopped writing, but we haven’t stopped reading. I see that Bill Clinton made a name for himself by ‘standing against crime’. Too bad he supervised the execution of Ricky Ray Rector…a killer that failed at suicide but destroyed his brain. Hopefully, he has received his desert from the HIGHEST COURT. I can’t find out if its any good if you are in other States. Off topic to this post. science is the search for simple mechanisms that explains complex phenomena, everything else is flower collection. This theme of simplicity is at the heart of Christ's teachings. In Christ there is no work extended by outside or inner expectations. No musts. No shoulds. Nietzsche's dragon was slain though Nietzsche missed it. There are very elementary ideas in motion and work in Christ's teachings. I personally think this is very profound. A child's faith sees it in work. Hard to get there as an adult with complexity to everything we do and think. Btw science is about being puzzled about simple things. That we take no thought of. And they turn out to be very much different than your intuition and experience. The song, “Jesus Loves Me” doesn’t get much better than that. Dear Wade, considering your own thick Native American ancestry I am more than impressed by your ability to find the humanity and nobility in President Jackson. He is, after all, widely regarded to have done some of the most egregious damage to the tribes following the Revolution. Your example is a beacon of Christian light in our dark world. I think the above talk of Chomsky goes well with Wade's message I linked above. BTW Wade would make a good science/philosophy teacher mainly for the simple reason that he explains the complexity down to simple or elementary ideas or concepts. I too the ‘liberty’ of using your picture of the British officer trying to kill Andrew Jackson, and wrote this. I passed it out to our church yesterday with many replies. 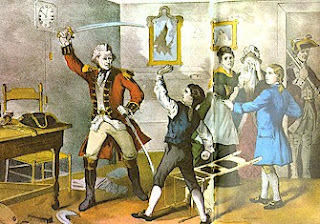 As a messenger boy for the Revolutionary War, Andrew Jackson was captured by the British at age 13. Claiming prisoners of war had rights, he refused to clean the boots of a British officer. The officer tried to kill him, but Jackson only received a deep cut to his hand and face. He had a large scar on his face the rest of his life. This abuse caused him to hate British and he rejected being a Christian until he was 75. He attended a revival where a preacher said, how can a man not see the Omnipotent Hand of God when he has lived through perils of the wilderness, the wiles of Indians, dangers of war, conflicts of politics, and an attempt of being assassinated? Jackson asked the preacher for a visit and told him he had given his life to Christ and would like to join the church. The preacher asked if he could forgive all his enemies. Jackson said he could forgive his political enemies but not those who had abused him for serving his country. The preacher insisted all enemies and finally Jackson said he could forgive the man who had cut him. When he was pronounced a member of the church, the feelings of the congregation burst into sobs and cries, and the preacher himself was unable to speak. Someone started a hymn, and in singing there was joy and relief. Chomsky: Who Rules the World? "The Church"- Do You Think People or Steeple?